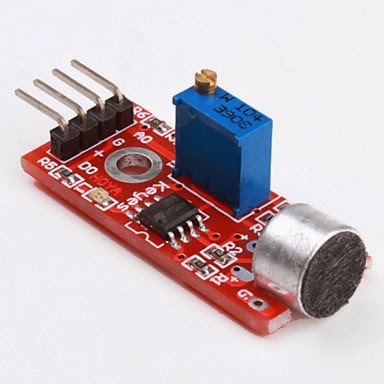 I tried the Microphone Sound Detection Sensor with above code on Arduino Duemolanove (D0 to A2, gnd to GND and + to 5V). The led is always blinking. When I printed the value of mic on COM and it is showing 16 always, and the digitalRead(mic) is 1. So that condition check is always true and LED blinks always. I tried changing the sensitivity by turning potentiometer, still it works the same away. What can be done to resolve this problem. I want to set a threshold value. The LED should blink only if the sensor value is above that threshold. I have the same problem. I can get a stand alone powered microphone to work very well. But this board does not seem to fluctuate at all. I even bought two of them in case it was just a broken board. After finding nothing on the Internet, I am thinking the design of the board must be flawed.